A strong resemblance can also aid our understanding of age's function in Close's photography and Roman portraiture. The first-century portrait of an unidentified sitter conveys that certain political gravitas that comes with age. Pitted cheeks and wrinkles index a life of honorable work, much like the other older male Roman portrait in this exhibition. A miraculously full head of hair, strong brow, and piercing gaze testify to the sitter's continued vitality in middle age. 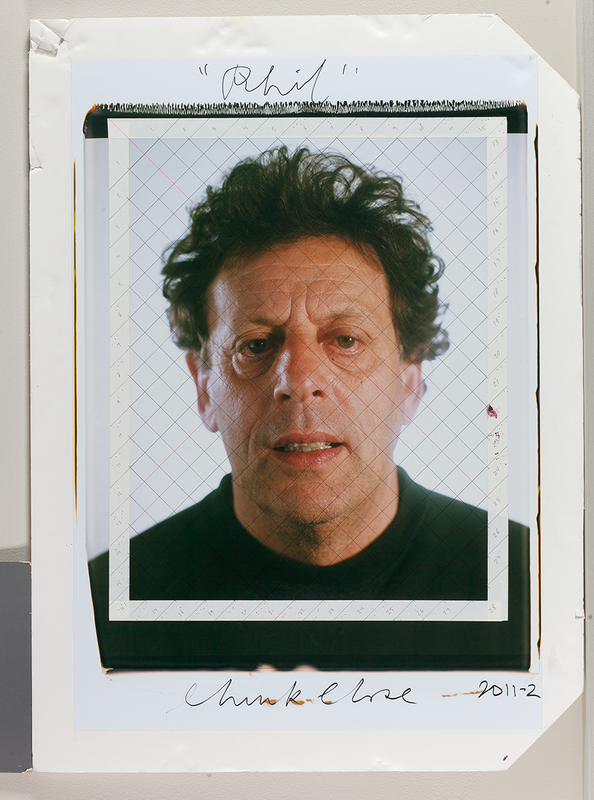 By contrast, Close's aged Philip Glass seems beaten. Large bags have developed under the composer’s eyes, and his gaze appears more tired than his earlier portraits by Close. Like the Roman work, Glass has retained his hair. Close has been fascinated by this coif for his entire career, comparing it to Caravaggio's Medusa. Although Close claims to present his subjects “flat footedly, without editorial content,” one cannot help but notice how much the artist has overemphasized Glass’s age and added more than a touch of madness to the composer’s expression in the 2011-2012 portrait adapted from this photograph and included in this online exhibition. 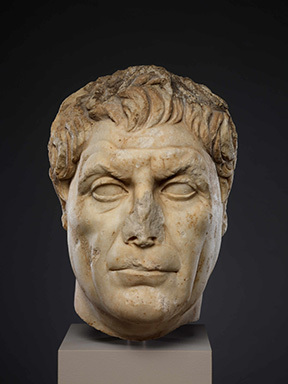 Though "veristic" Roman portraits do show signs of age, they do so for a specific. Given their uncannily similar faces, the under-eye bags and loosening skin found in Glass's portrait were likely present in the sitter of the Roman work, but these were omitted in favor of more youthful features.